Don’t Keep SAP Activate a Secret, Invite Your Colleagues! 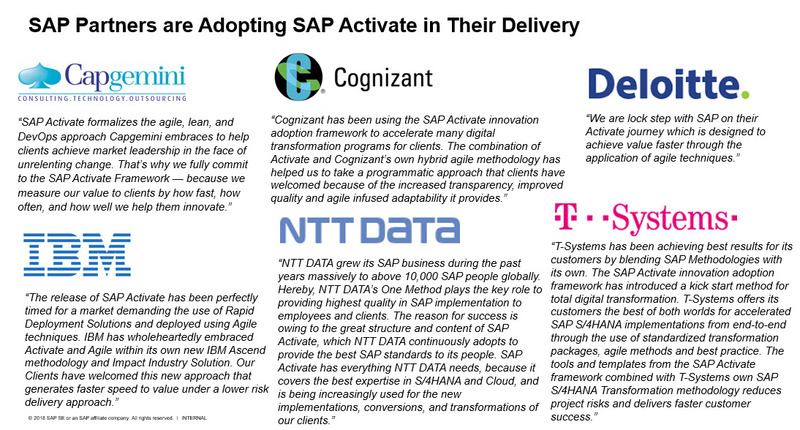 SAP Activate is the leading methodology for project implementations for partners, system integrators, and customers. SAP Activate is highly acclaimed due to the simplified processes, easy to follow templates, Agile methodologies, time and cost saving accelerators, and guided step-by-step approaches. All of these elements combined, help customers and project teams implement a successful go-live and reach a faster Time-to-Value. System integrators have already named SAP Activate as the chosen methodology for their project implementations, and customers also agree! Check out the feedback from our top partners below. SAP Activate has a dedicated Jam group, SAP Methodologies, which consists of approximately 24,000 members. The community allows users to collaborate and engage with one another, get expert feedback, and understand the latest updates to the methodology. 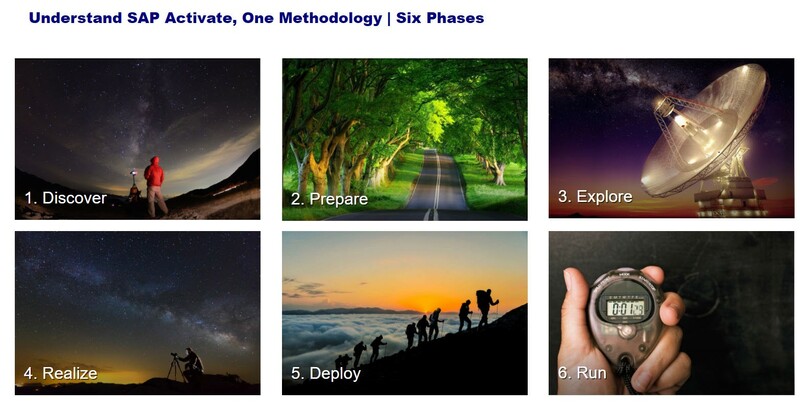 Our new structure allows our members to understand SAP Activate, with its one methodology and six phases, in a storyboard format. In addition to the SAP Methodologies parent group there are two sub-groups, SAP Activate for Cloud and SAP Activate for On-Premise, which offer tailored roadmap and methodology content. Check out our previous blog for key highlights from our SAP Activate Jam group refresh! I used to to access to this site via SAp Jam but it seems now not possible anyore. Coudl you pls send me invite to the site again. I tried looking for your email on your profile and wasn’t able to find it. I add all users to the site and will add you once you enter your email address into the link. We look forward to you joining our SAP Activate community! Feel free to reach out with any questions.